Announced "San Disk" San Disk specialized in flash memory storage solutions, today announced the flash drive "San Disk Extreme Pro USB 3.0" San Disk Extreme PRO ® USB 3.0 flash drive, which he said characterized the performance of professional and high speeds. The company said that "Bo San Disk Extreme USB 3.0" provides a storage capacity of up to 128 GB, it is characterized by the specifications of the next generation by providing a write speed of up to 240 MB / s and read speed of up to 260 Mbytes / sec. 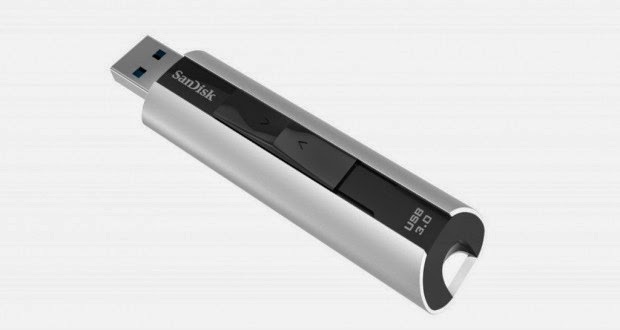 The flash drive "San Disk Extreme Pro USB 3.0" metal lid is made of aluminum, with the aim of providing protection from the ravages him daily. It also has a program "San Disk Secure Access" San Disk Secure Access which provides file encryption "AES 128-byte" and by password protection for confidential files while leaving the rest of the engine available for the post.